Our project was finalized more than year ago but its results and impact is still visible. We have received many warm comments about our project work and results, a lot of people are asking about our products (materials for language teachers working with adult learners). 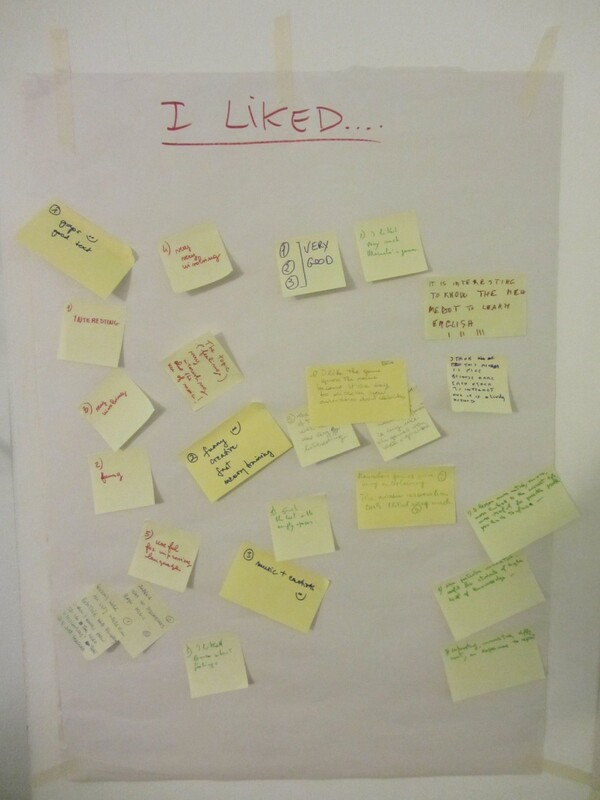 It’s great to know that our innovative ideas, materials and exercises are useful. We are also very happy and proud because our project was nominated to the EduInspiration 2017 Award organized by the Polish National Agency (http://eduinspiracje.org.pl/)! The aim of the competition is to emerge the most valuable projects, especially in terms of disseminating results and sharing their experience and success with others. 3. Two curricula compiled for a one-year (60 hours) course for learners 55+, two levels: elementary (A2-B1) and intermediate (B2). 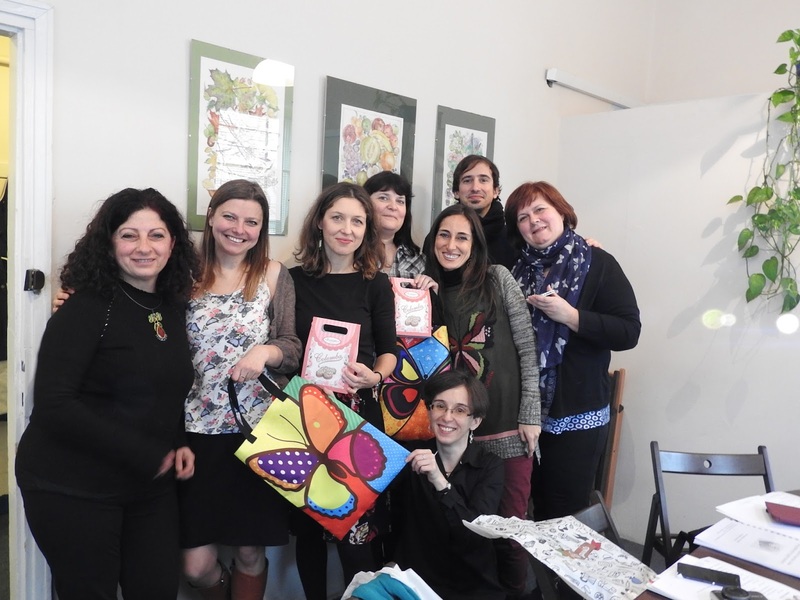 All of them have been presented during multiplier events that we have organized in Hungary, Italy and Poland at the end of our project. They have been also disseminated through different means (e.g. 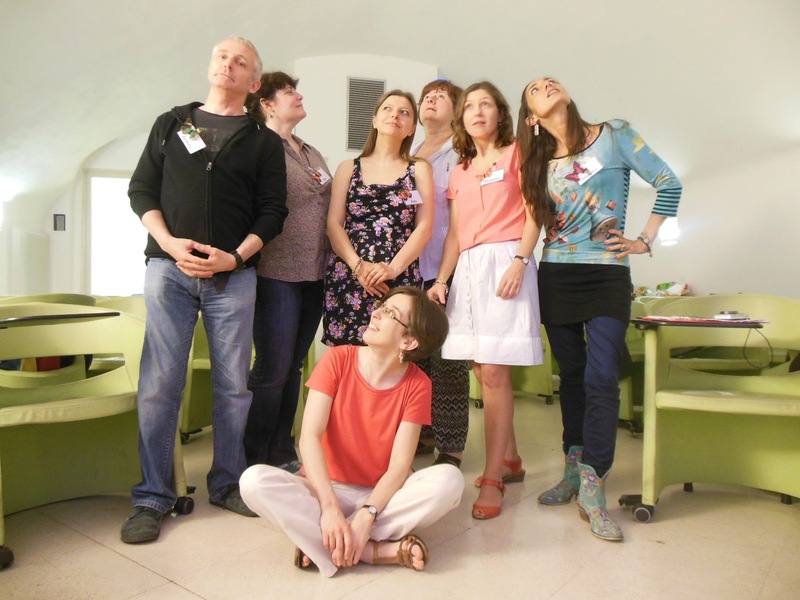 uploaded at the dissemination platform: the Erasmus+ Project Results Platform - http://ec.europa.eu/programmes/erasmus-plus/projects/). Each meeting started with the project film presentation: https://youtu.be/j3KWkO5-T9w. 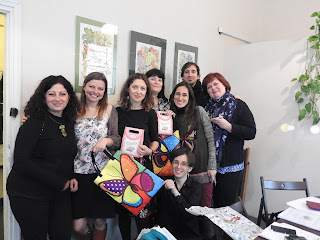 This great video was prepared by our Italian friends and shows why we had decided to have project about teaching English to seniors. We are very happy that people like our products and that they find them useful and inspirational. All our events were a great success! Now we are working on the final project evaluation and preparing our final project report. It is also time for us to think how can we cooperate in the future and what common project we can realize together. We would like to thank all teachers, educators and seniors who have helped us with our project. Without your hard work, brilliant ideas and support we wouldn't be able to achieve our goals! 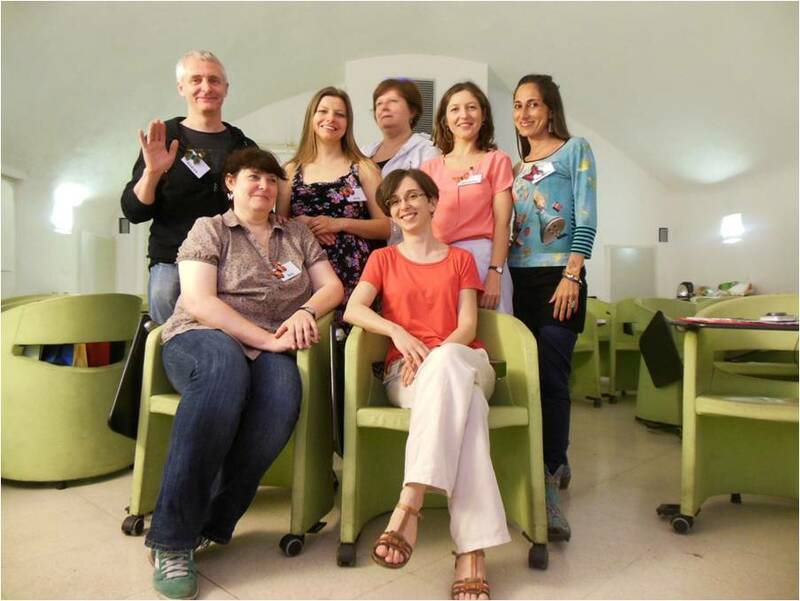 After our final international meeting in Rome, there is no time for any rest because each partner organisation is obliged to organise a so-called multiplier event, according to the project proposal. 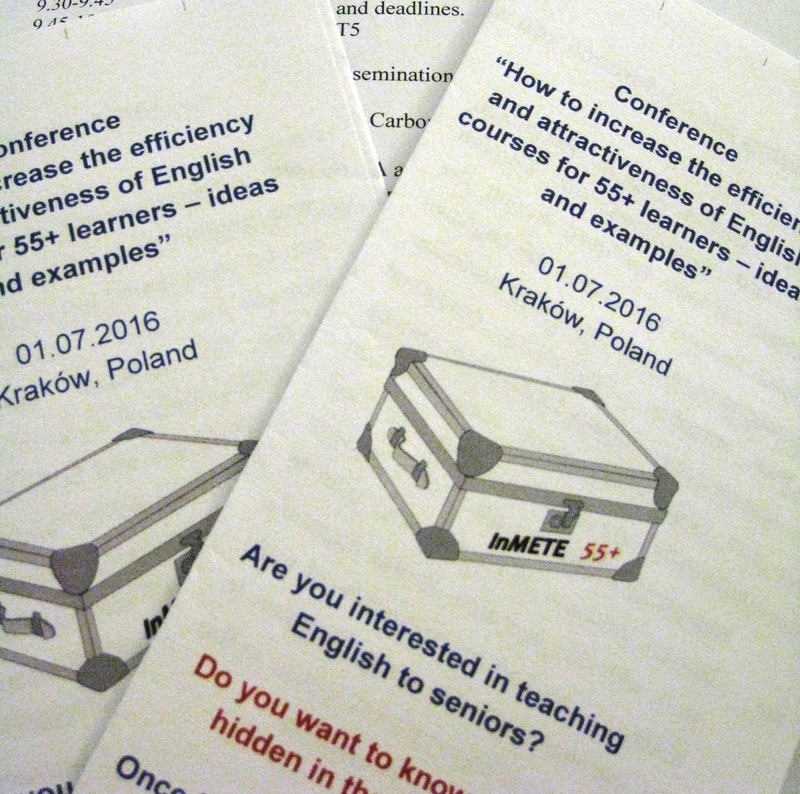 The main aim of the events is to share and disseminate the intellectual outputs of the InMETE 55+ project. The Polish partner is organising a conference for English teachers from non-profit organizations working on seniors’ education field in Kraków, in early July. 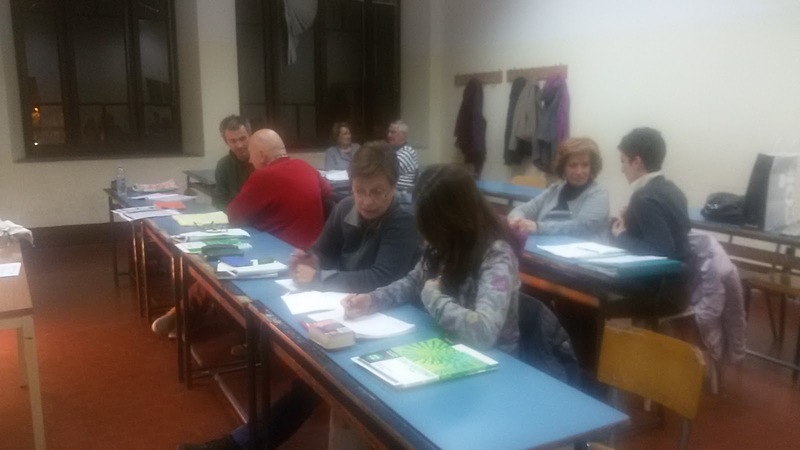 The conference organised by the Italian partners will be addressed to Unieda English teachers working in Third Age Universities, Popular Universities and Cultural Associations, representing also associations in different parts of Italy. The roundtable by the Hungarian partners took place with the participation of more than 60 people on 25 June, and it was a great success as the pictures in the photo gallery: http://tinyurl.com/Multiplier-event-Hungary prove. 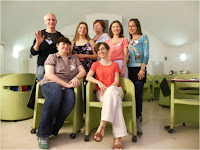 Italian presentation from the meeting is avaliable here: http://tinyurl.com/Multiplier-event-Italy. Unfortunately, the end of the project is getting closer and closer ... We had our last international meeting in Rome at the end of May. 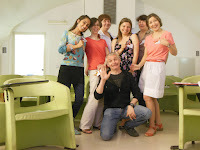 As usual, the Italian team prepared a perfect programme and involved some of the learners too. 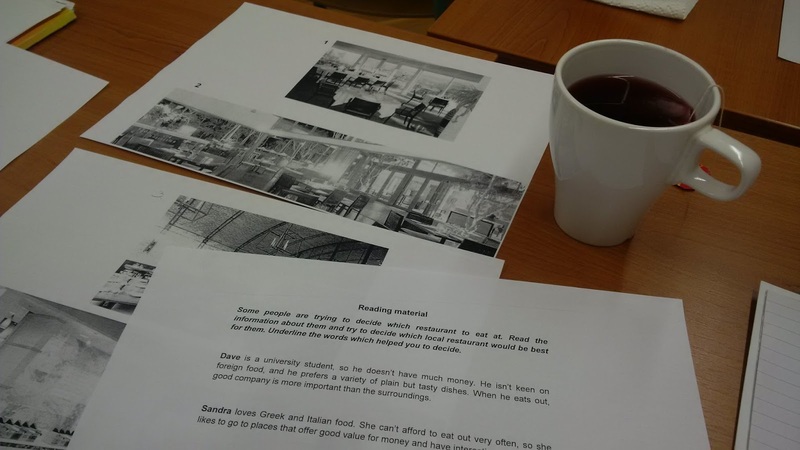 We did lots of necessary paperwork, agreed on several tasks that should be done in the coming months before putting an end to the project, were brainstorming on a possible new project, and, what's most fascinating, we organised three mini-lessons for learners too. During these 30-minute long lessons teachers from each participating country could demonstrate and try out some activities from our project products. All of the tasks were really successful and the learners enjoyed themselves very much. Testing our products (methods, exercises and materials for English classes) we asked seniors taking part in our activities to share their opinions and comments with us. 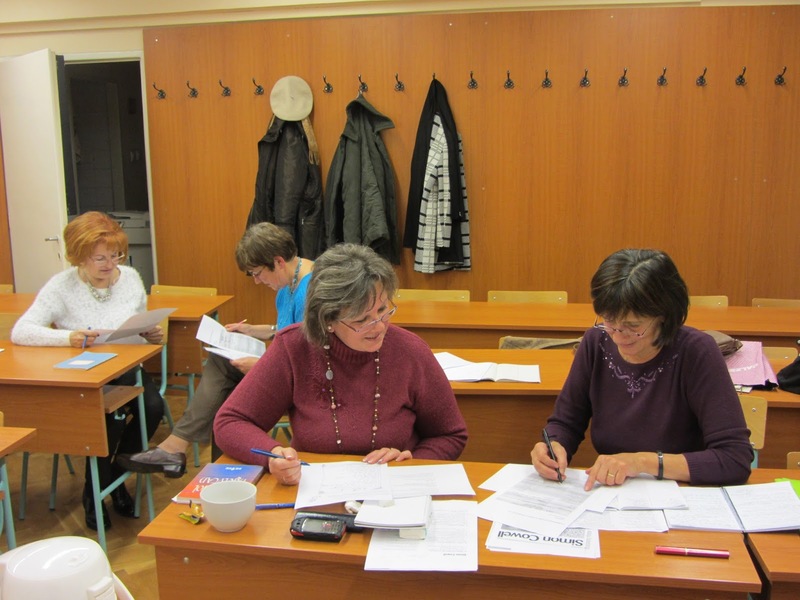 Here you can read what they think about our proposed English lessons and our project. Two products are ready for dissemination! 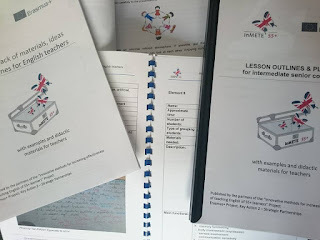 The Inmete team is proud and happy to announce that the final version of the first two outputs, the Resource Pack and the Lesson Plan, is ready! The introduction of Output 3, the curricula, is ready and everybody gave their precious contribuition in it. After an unforgettable meeting in Poland we are very proud to say that our project is going really well. O2 is ready! Quality control was completed and met all the quality goals required. The curricula will be slightly modified according to the results of O3 quality control. A first draft of the "funny video" has been presented in Krakow. We are currently working on the leaflet layout and on the planning of the multiplier events that will be held in summer in the partner countries. Our second product - the collection of lesson plans at two levels - is almost totally ready! 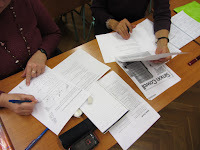 Recently teachers have been busy with testing lesson plans (O2) with local groups of learners. 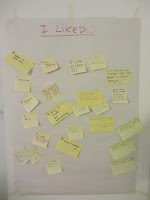 After each class, learners are asked to fill in a questionnaire and give feedback. On the basis of the comments, it might be necessary to make some minor changes in order to make the content and tasks of the lessons more appropriately tailored to the needs of senior learners. The lessons are said to be really enjoyable and motivating. 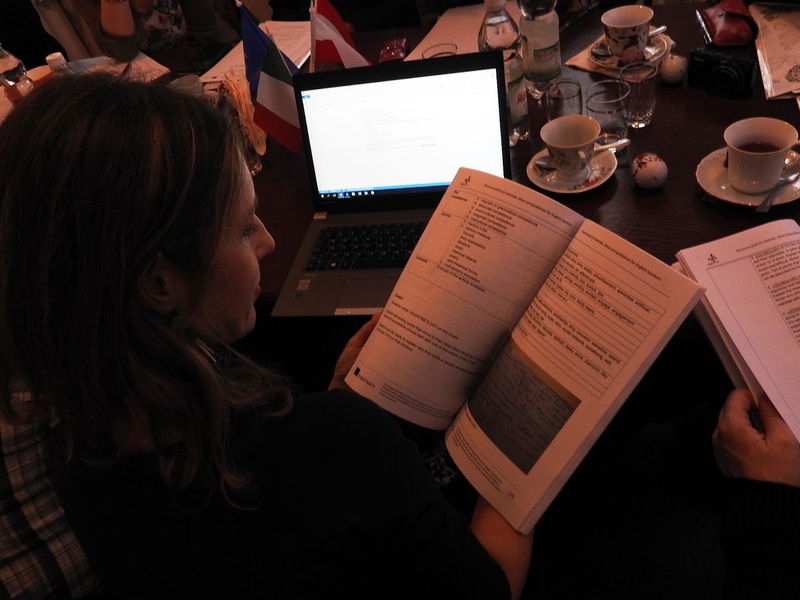 As for the two curricula (O3), we are ready with the analysis of the feedbacks from external evaluators. The next task is to decide what modifications must be made. © 2014 InMete 55+ Project Group. Simple theme. Powered by Blogger.